Symbolab is a service that launched four years ago. When I tried it then I described as a cross between Google and Wolfram Alpha. I described it that way because Symbolab would conduct a search for answers to math problems and also display the steps needed to complete the problem. 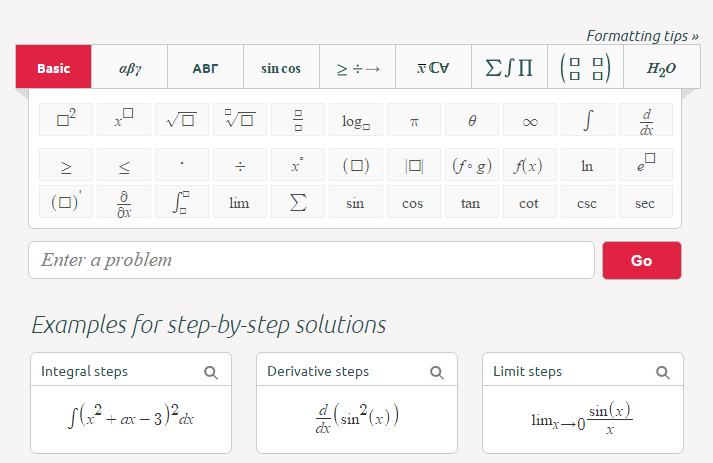 Additionally, Symbolab provides links to blog posts that explain how various equations and functions help to solve problems. Recently, a Symbolab developer contacted me about some new features of the service. First, Symbolab is now more than just a search tool. It includes a free graphing calculator and a free integrals calculator. Symbolab has also added a neat chemical reactions calculator. Finally, students can now find practice problems on Symbolab. The practice problems cover a wide array of topics in math. Most topics cover in the practice problems are accompanied by helpful videos for students to review if they get stuck on a problem. There are other sites and apps that provide similar services to those of Symbolab. Not being a math teacher myself, I can't say that Symbolab is inherently better than its competitors. I will point out that it's nice to have multiple options for students to choose from when looking for free scientific calculators.